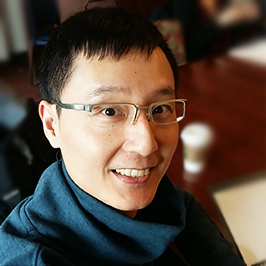 Ken (Yongjian) Chen has been selected as a doctoral student fellow at the 2017 PDMA-UNH Innovation Doctoral Consortium. This consortium is co-sponsored by the Product Development Management Association and the University of New Hampshire. He has also had part of his PhD research accepted to the Strategic Management Society's Special Conference on Dynamic Capabilities. To be held in Banff and co-sponsored by the University of Calgary, this special conference showcases the best of leading edge strategy research. Ken’s research interests focus on entrepreneurial marketing issues in high-technology and fast-paced markets, including how young firms learn to develop capabilities and innovate under uncertainty. He received his BBA from the Schulich School of Business, York University. Prior to entering the PhD program, Ken worked as a strategic marketer in the beauty and quantitative finance industries in Canada. He has published in the Journal of Interactive Marketing and is an Ontario Graduate Scholarship winner.